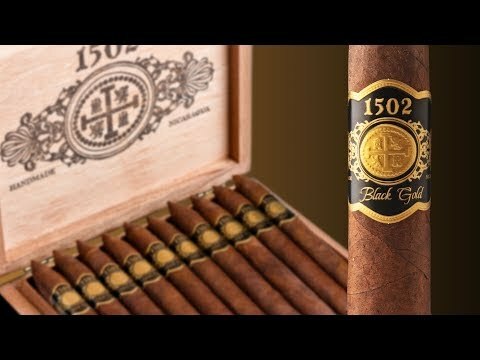 A super dark maduro, premium handmade 1502 Black Gold Toro cigars are made by master blender Enrique Sánchez at his factory in Nicaragua. The cigar featured a dark brown Mexican wrapper covering a blend of perfectly aged Nicaraguan binder and long filler tobaccos. This top-shelf smoke delivered hearty notes of chocolate, cocoa, earth, and black pepper.